Home window repair. The best window installation service. Window Installation Service - The Perfect Windows for your Household. Accurate Siding and Windows has been providing Window Installation Service, home window repair and window glass replacement service for over 20 years in the Virginia Beach area. Accurate Siding and Windows, Inc. window installation service consists of fine craftsmanship by our own window installation crew, using quality materials which is backed by the strongest warranty in our industry. Getting back to the question, so what constitutes as perfect windows for your home? First you would need to hire the right window installer. Second would be picking out insulated windows that are energy efficient. And finally picking a high quality material that matches your home's look. Fuse that together and you have yourself the perfect window installation. That answers the question, still right? Not really. 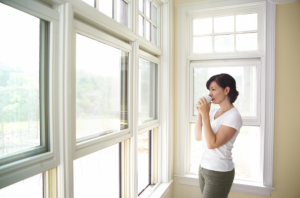 Here are a couple suggestions you can do in order to get perfect windows for your household. Research: It is like going back to school again, but then again now days it is so easy to get information. Look at reviews from yelp to google reviews. See who’s the most updated and current with trends. Word of mouth: Go to your local hardware store and ask the specialist on consultation (FREE of course). Quote hunting: Call as many Window companies, contractors, business owners and see what the best offer you can possible get. ***Note: The cost efficient route is best, but you want to be careful and not be too cheap. Contact Accurate Siding and Windows Inc. for a NO obligation consultation. The finest quality craftsmanship with affordability. The perfect windows for your household really depend on you as the home owner and how much work you put into it. With the guild lines listed above you use that as a tool to gauge the process and also at the same time have the perfect windows for your house hold. Accurate Windows and Siding offers home window repair and window installation service. Our new instal or replacement windows Virginia Beach use the best products in the industry. We specialize in home window repair, replacement Windows, window installation, vinyl siding, decorative vinyl siding, vinyl replacement windows, casement windows, double hung windows, alcoa siding, insulated windows, nailite, CertainTeed, ThermaTru doors, Simonton windows, crane siding, Andersen Windows & Doors, Dove Vinyl Windows, Fiberglass Entry Doors, Siding and window Contractor Services, Siding Contractor, Vinyl Windows Virginia Beach, Vinyl Siding Virginia Beach, Home Improvement Virginia Beach, Entry Doors, Window Replacement Contractor, Window Products, Window Replacement Company. We are also a window installation company offering window installation service, which a window installer will professionally perform window glass replacement service for your home window repair job. All jobs are started with a visit from a window installation contractor. We are one of the best Virgina Beach window companies. Window replacement, window glass replacement service and glass repair Virginia Beach. Have Accurate handle your next Virginia Beach window repair or home window replacement. The number one choice for Virgina Beach windows. Accurate Siding & Windows, Inc., offers window installation service, home window repair, glass repair, window glass replacement service, window Install, window installation contractor and window replacement. We are one of the top Virginia Beach window companies, contractors in Virginia Beach and window installation companies. Our window installation company has specialized window installers with over 20 years window installation experience. Are you looking for a professional window installer? Accurate Siding & Windows is the leading window installation Virginia Beach. Virginia Beach contractors for home window replacement, Virginia Beach window replacement, glass repair Virginia Beach, replacement windows and replacement window. contractors in Virginia Beach for window repair Virginia Beach. Virginia Beach window repair | home window repair Virginia Beach | Virginia Beach window companies | window replacement company | replacement window companies | replacement windows Virginia Beach | window replacement virginia Beach | Virginia Beach contractors. © 2017 Accurate Siding & Windows Inc.